localized thickening of the skin and therefore pain. The surface layer of the skin thickens, irritating the tissues underneath. Dependants on the skin type corns appear as white / grey or yellow / brown in colour. Hard corns are usually located on the top of the toe or on the side of toes. 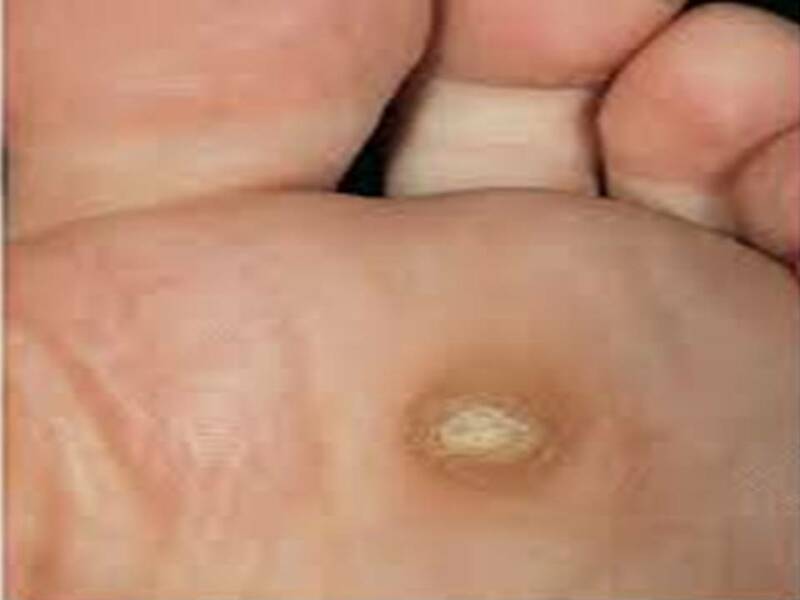 Soft corns resemble open sores and develop between the toes as they rub against each other. Pain can be a ‘burning’ sensation; if localised the pain can be sharp resulting from the increased pressure on the nerve supply.